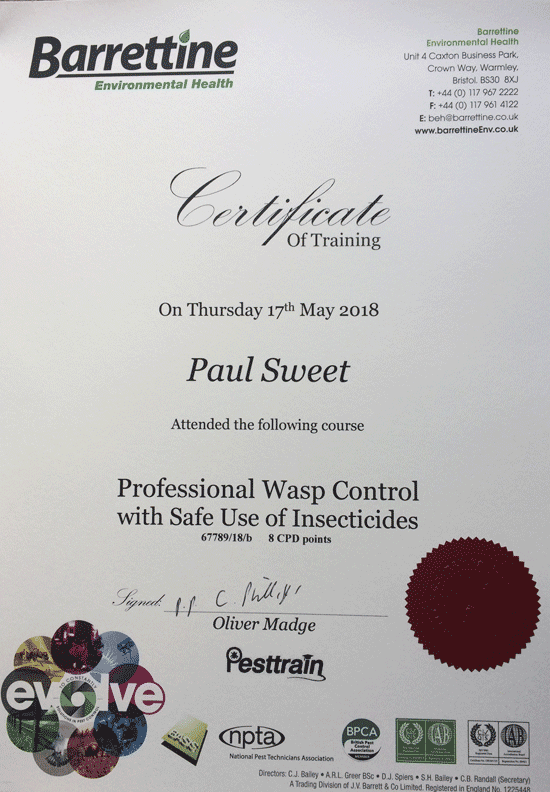 Paul provides a Wasp Nest Removal service for Romsey, Michelmersh, Lockerley and Sherfield English plus surrounding areas. We have now used Hampshire Wasp Control - Paul Sweet - 3 or 4 times. He has always responded quickly and effectively, is very professional and observant - sees wasp nests which I have not seen - and willing to provide advice on any other problems which he might notice eg rats in the barn! If you have a wasp or hornet problem and live in the Romsey area and need to get rid of the nest fast, why not give Paul a quick phone call?